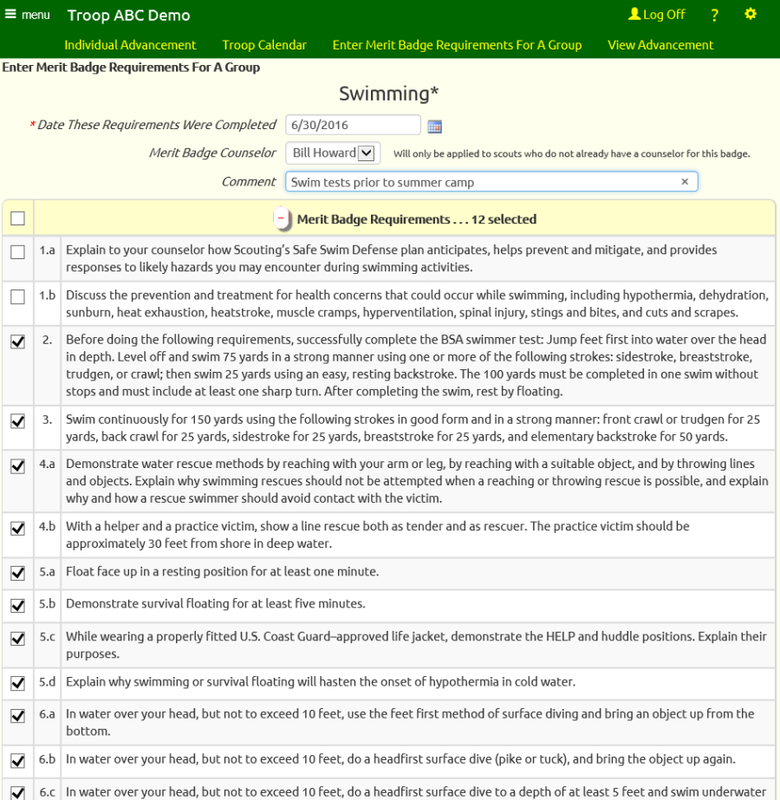 When a group of scouts work on the same merit badge together - as often happens at summer camp - you're going to need to sign off on all of the completed requirements for each scout. Rather than do this one scout at a time, you can use this function to update all of their records together. Go to Advancement → Maintain Advancement → Enter Merit Badge Requirements For A Group to see the page shown below. Select the merit badge you wish to process and then click Continue. Enter the date on which these requirements were completed. 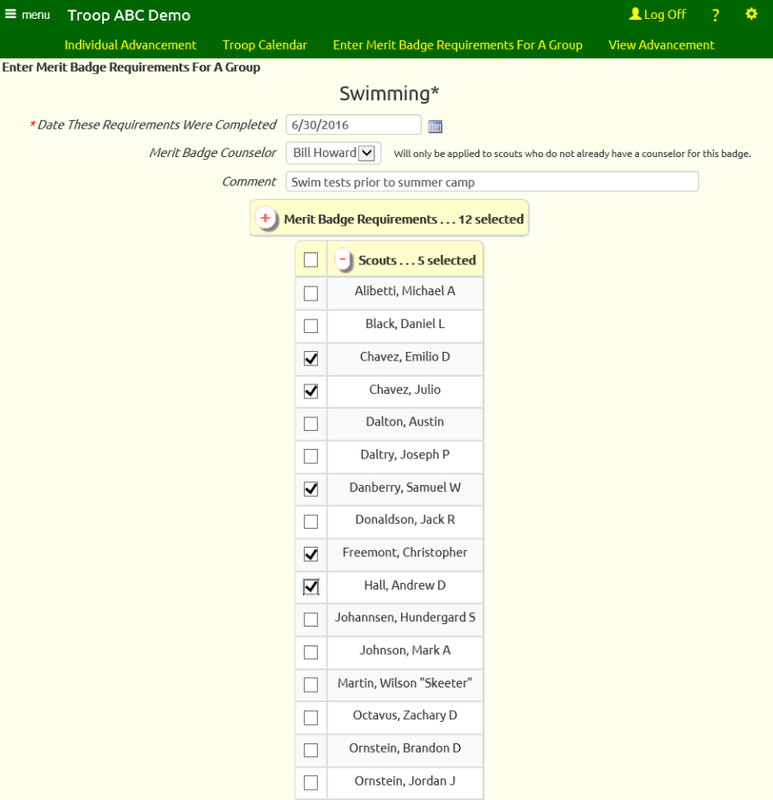 If you select a merit badge counselor, the system will assign that merit badge counselor to all of the scouts you select who have not yet been assigned a merit badge counselor for this badge. If you enter a comment it will be appended to any existing comment on this badge for the selected scouts. Then click the plus (+) sign to open up the requirements list. Select the requirements that you worked on and click the minus (-) sign in the header row to close this section. Click the plus (+) sign on the scouts header to view the list of scouts. Check off the scouts who completed these requirements. Don't worry if some of these scouts had already earned some of these requirements; the system will bypass requirements that were already marked complete for a given scout. Then scroll to the bottom of the page to click Save. They are already working on a different version of this merit badge.